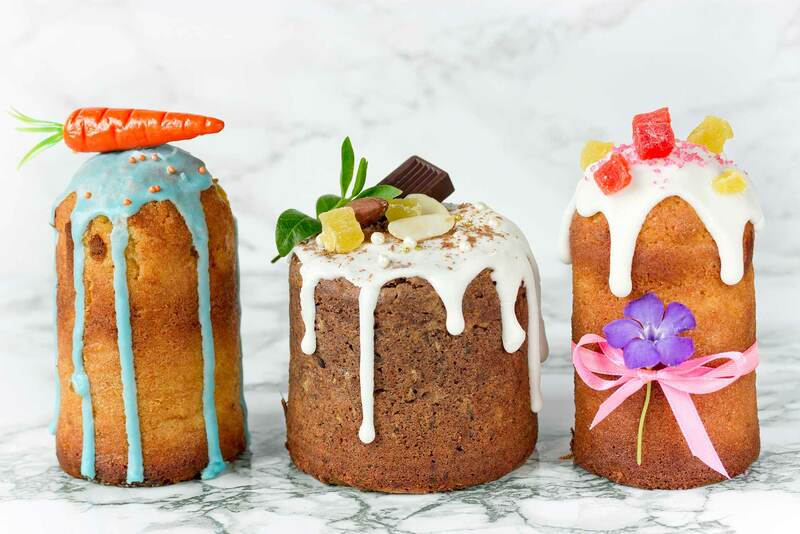 From the Russian Kulich to the tasty Danish Semlas: here are some of the most famous Easter delicacies from around the globe. It's not Easter without a traditional dessert! If in Italy families celebrate with a piece of Colomba cake, in Russia the meal ends with a Kulich and in Denmark with the delicious Semlas. We propose here ten international Easter delicacies that can inspire you to bake something new this year. Tsoureki is a sweet plait bread that is cooked in Greece during the Holy Week. The dough, which has a taste similar to that of a brioche, is flavoured with mahlepi spice, derived from the kernels of wild cherry. The bread is then decorated with hard eggs painted in red, symbolizing Christ’s blood. Tsoureki is generally eaten for breakfast, covered in butter or even Nutella, and is perfect to be served on Apollo cardboard doily laces, patented by Novacart. In Russia, European Orthodox countries and Finland, Easter is celebrated with a traditional pyramid cake, often decorated with the letters XB, from “Christos Voskres”, meaning “Christ is risen”. It is cooked during the Holy Week and brought to church to be blessed on the night before Easter. The main ingredient is tvorog, a cheese similar to ricotta, then adding butter, eggs, smetana (an acid cream), raisins, almonds, vanilla, spices and candied fruit. It is baked in a special pyramid mold and can be served on a golden Novacart cardboard disk. A typical dessert from Czech Republic and Slovakia, the Babovka is a ring-shaped cake, prepared with raisins, almonds, cherry liquor and sometimes nuts and candied fruit, or even poppy seeds, cocoa and dried fruit. To be eaten in the morning for breakfast, it is baked in a traditional ceramic pot, but it can even be cooked in a Novacart ring mold, such as MBC 159 H 84 baking mold. In Bulgaria, Belarus, Russia and Georgia, many families prepare Kulich, which is traditionally blessed by the pope on the night before Easter. It is a sort of tall panettone, containing raisins, candied fruits and almonds, decorated on top with a white or colored icing. It is generally eaten for breakfast on Easter morning and it can also be prepared with Novacart panettone baking molds. 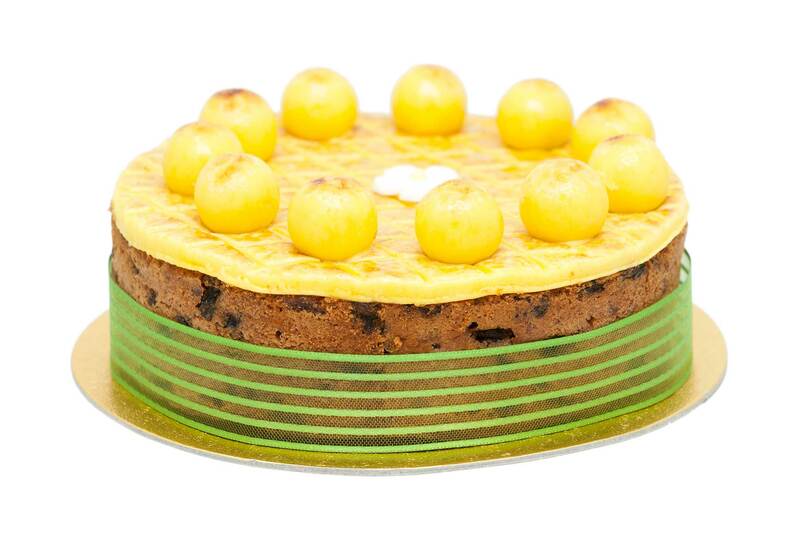 In the UK Easter is celebrated with a slice of Simnel Cake, a marzipan cake flavoured with raisins and spices, composed of two layers and decorated with 11 almond paste balls, one for each apostle of Jesus excluding Judas. 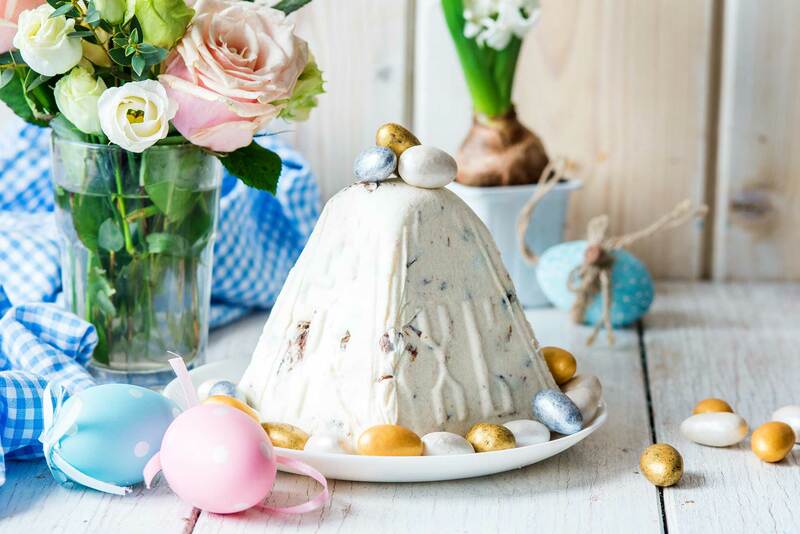 It is eaten on Easter Sunday and it can be prepared for example with Optima 180 – 35 CBNN cake baking mold in pure cellulose cardboard with a rolled edge and then served on a Novacart golden cardboard disk. Staying in the UK, we now move on to the Hot Cross Buns, little bread rolls flavoured with cloves and a crossed on the surface, made with a sweet batter or glaze, to symbolize Jesus cross. They are preferably eaten for breakfast. In Denmark Easter means Semlas, round-shaped rolls stuffed with almond paste and whipped cream. Semlas are excellent with tea or coffee, but also dipped in hot milk. During the Holy Week in Spain families bake Mona de Pascua, a ring cake made of sweet bread with boiled eggs with shell inserted into the dough. The name comes from the Arabic and means “Easter gift”, since it marked the end of the Lent fast. The egg is used for a reason: traditionally in fact, besides meat, the Catholics also avoided to eat eggs during Lent. The modern version of the Mona de Pascua is often decorated with icing and colored chocolate eggs. The Paçoca is a traditional Easter dessert in Brazil, made of cassava flour, peanuts and sugar. This dessert is also eaten during Festa Junina, celebrated in June for the solstice of the austral winter. In Brazil, it is usually eaten in the streets during processions. We will conclude this journey around the world with the Capirotada, a traditional Easter dessert in Mexico, flavoured with spices and raisins, cloves and cheese. The ingredients have a symbolic meaning: for example the cloves represent Christ’s cross, the cinnamon represents the sticks that were use to beat Christ.